Generations Red/ Beige Area Rug (6'7 x 9'1) - 6'7" x 9'1"
Momeni Dream Rug - 7'10" x 9'10"
A transitional border style area rug featuring shades of red, beige and green. Featuring a durable yet soft polypropylene construction this beautiful rug will make a wonderful addition to any room. Dimensions 112.0 In. X 79.0 In. X 0.43 In. 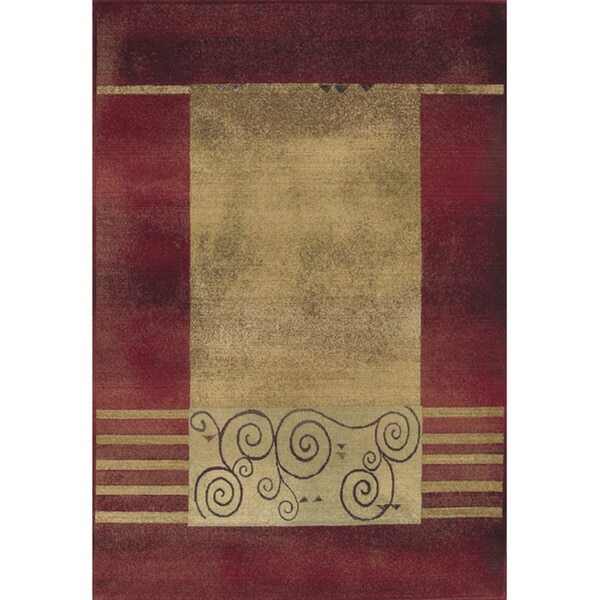 Copper Grove Heath Enchanting Circles Brown/ Red Area Rug - 3'2" x 5'7"